I recently received a box of things my brother got for me on his trip to Peru. Inside were several pens that seemed to be commonly available there. Indeed, they are more common there than in the US, because all of the information I could find on them was in Spanish, or Russian (Ukrainian? Cyrillic of some sort). And they do say “Product of Peru” in Spanish. So let’s get to it and look at the first type I received, the Faber-Castell 033 ballpoint in black. The pen has a very classic octagonal design, and it’s made with a plastic that feels much like the plastic that older pens and mechanical pencils were made out of, except it is much lighter and feels more brittle and thinner as a result. The faceted barrel is capped on the back by a step-down plug of a light grey color that allows the pen to be neatly posted, and the cap on the front is a very simple, if unsightly, ribbed design. The clip is molded in and works, but is quite filmsy, and I wouldn’t trust it. The cap does fit securely over the section, which is a simple taper in the barrel to a larger-than-normal metal cone, at the end of which is the ball. 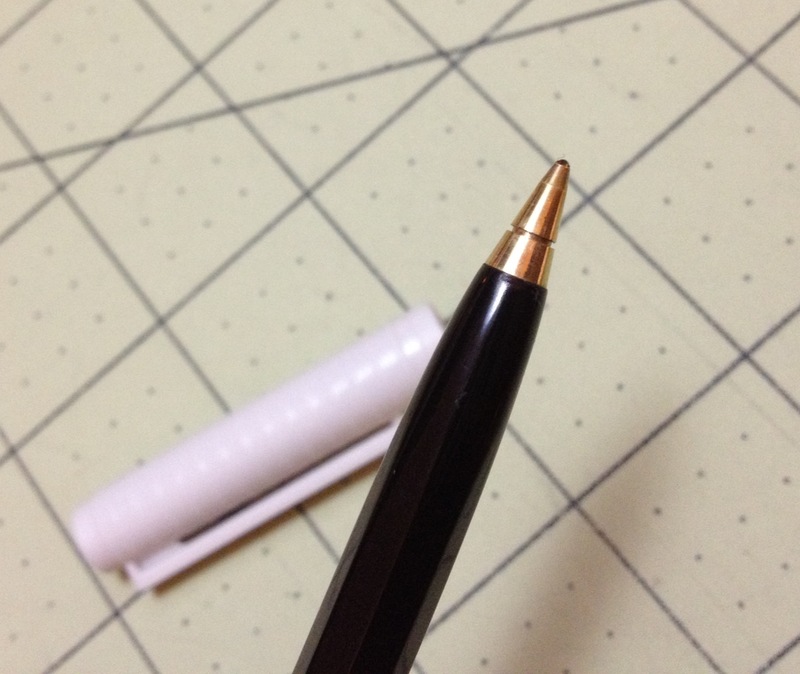 As far as I can tell, this tip is not removable, and thus the pen is not refillable. Stamped in gold on the side is just enough information to identify it, but not much more. Writing is surprisingly smooth for a ballpoint, but it does have occasional startup issues and more blobbing than I can get past. The ink is comparable to inexpensive Bic ink. It’s suitably dark and black, but it’s got a bit of a red sheen, and upon close inspection under a bright light it looks like a very dark purple. It’s still on the warmer side of things, though. It dries fast (except for the blobs), but with certain types of paper I wouldn’t try it left-handed. And its blobbing might cause it to smear for left-handers anyway. It is suitably waterproof like most ballpoint inks. I haven’t tested lightfastness, but in general even cheap black inks do well, but it isn’t archival quality. Overall it’s a well-working, inexpensive pen. As far as super cheap pens go it isn’t the best, but it’s far from the worst. It writes well, but not perfectly. The body is simple with no frills and holds together despite being cheaply made. And there isn’t much more to it than that. I wouldn’t be going out to import them, but I would (and will) use them if I ended up with them (which I obviously did). 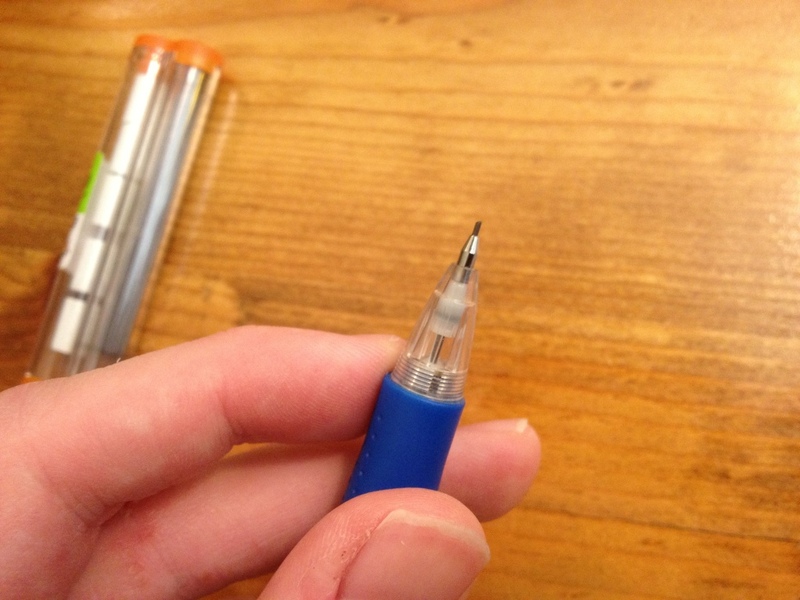 Bic makes a lot of writing products, and sometimes it’s hard for me to keep them straight. I’ve never really been sure what one is supposed to do over the other. Nevertheless, the Bic Velocity is a solid mechanical pencil and I’ll be looking at it today. 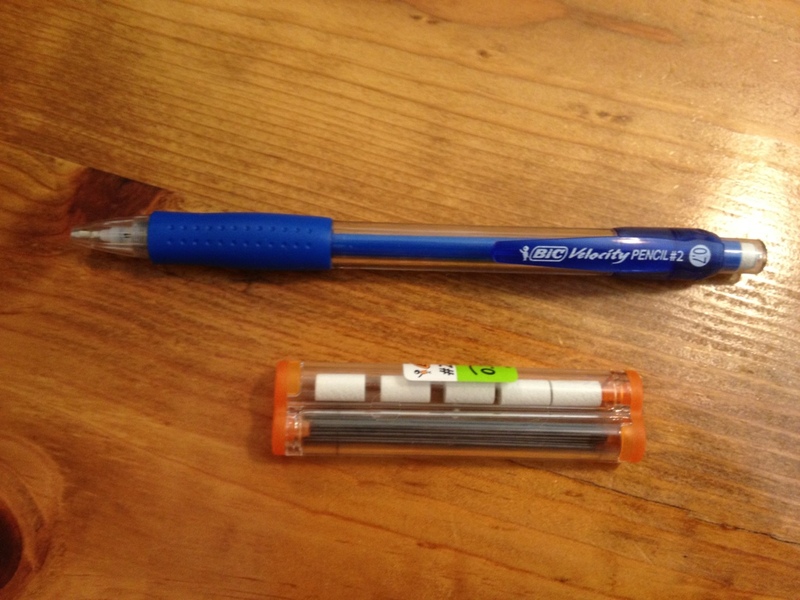 The back of the pencil is unremarkable; a clear plastic cap covers a small, white, barely functional eraser (it works about as well as most mechanical pencil erasers). This assembly can be pushed down to activate the lead advance mechanism. Just down from this is a plastic clip, functionally all right, with the pencil’s information written on it. Down from there, the body is clear and straight until it get to the rubberized grip section where it bulges then hourglasses, creating a nice place to rest your fingers. The little cap cone after this is clear, and has the metal tip floating inside so that is retracts when the lead is retracted, preventing the tip from getting caught on anything. Writing is fine. The lead is standard. It doesn’t break much, goes on smoothly enough and dark enough for school or office work. There is no advanced shock absorber or lead turning to prevent any damage, though, but at the price, that’s teetering on the edge of reason. The grip is comfortable enough to get one through writing or drawing without too much trouble. It doesn’t slip and isn’t too narrow. The overall construction is solid, and it feels like it won’t break in your hand. Overall, the Velocity is fine. It isn’t the best mechanical pencil ever, and it has no real features, but it’s solidly and relatively comfortably built. It is fairly inexpensive and comes with enough refills of erasers and lead to last the user for some time. As far as inexpensive options go for mechanical pencils, it’s a good one, but there’s nothing special about it.